"My older sons just can’t stop crying. My six-year-old asked me ‘are you going to come back mam?’"
A MOTHER of five who was given incorrect smear tests results and went on to develop cancer has now been told she has cancer again, and it is terminal. Emma Mhic Mhathúna (37) was given the devastating news yesterday – just over a week after she was told she was one of the 209 women caught up in the CervicalCheck scandal. Speaking to the Irish Independent from her home in Kerry, she said she was just coming to grips with the knowledge that she need not have developed cancer at all, when she was dealt this blow. “I’m back to being numb. I was only coming back down to earth after last week and now I’m back in a whirlwind. “I shouldn’t even have had cancer and now I’m dying,” she said. Ms Mhic Mhathúna was told in 2013 that her smear test was normal. However, three years later in 2016, following a routine smear test, she was diagnosed with cervical cancer. A HSE audit of her 2013 result showed that the first indications of cancer were already there. Yesterday her GP broke the terrible news to her that a chest X-ray showed the cancer has returned, and this time it is terminal. “A chest X-ray picked it up and it’s everywhere,” said Ms Mhic Mhathúna. “With cervical cancer, when it comes back, it can appear anywhere. “I had stage 2B cervical cancer, it had left the cervix and gone into the lymph-nodes and it came back everywhere. “My poor GP, she’s a mess herself. She just hugged me. I wanted her to be the one to tell me,” she added. Ms Mhic Mhathúna will find out later this week about possible treatment options. However, she knows that any treatment will only be able to prolong her life rather than save it. She had the heart-breaking task of telling her five children, four boys aged two, six, 10 and 11, as well as her 15-year-old daughter. Ms Mhic Mhathúna is angry at the lack of action from the Government and Taoiseach Leo Varadkar since Limerick woman Vicky Phelan first lifted the lid on the cancer scandal two weeks ago. “It’s annoying no one seems to be doing anything about it. “This could be anyone, it could be you, my daughter, anyone. “Leo Varadkar is supposed to be taking care of all of us – that’s his job. But I don’t feel safe and he’s not doing anything about it,” she said. “Women in Ireland are dead and dying and he seems to be taking a passive role in it altogether. “No one seems to be doing enough. The only one I trust is Mary Lou McDonald, she’s challenging the Government for answers,” she added. The Sinn Féin leader raised Ms Mhic Mhathúna’s case in the Dáil yesterday. She again called for Tony O’Brien to be sacked as director general of the HSE, arguing the public and even some ministers no longer have confidence in him. Neither does Ms Mhic Mhathúna, who also believes it’s time for Mr O’Brien to either resign or be sacked. “I read somewhere it would cost too much money to sack Tony O’Brien. “If you went into work and caused somebody to be injured and to possibly die, you’d be shown the door. “Why aren’t they protecting the general public first?” she asked. 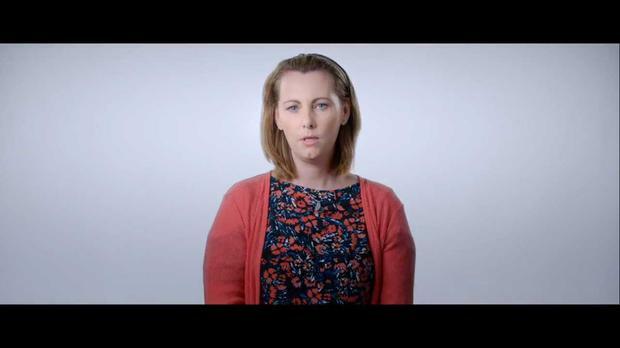 Ms Mhic Mhathúna appeared in a HSE promotional video alongside her daughter last year encouraging a greater uptake of the HPV vaccine. However, given that she only learned of the false negative smear test result five years late, she feels sickened.